Application innovation is at the heart of the digital economy. A new era of apps is redefining what data centres are and need to be capable of supporting. Because today, the data centre is no longer a fixed place. It exists wherever data is created, processed and used. That is why Cisco is announcing a new architecture that extends the data centre to everywhere that data lives and everywhere applications are deployed. A radically simpler way for customers to buy and manage the technology across the entire data centre architecture, via a single Enterprise Agreement. ACI available in AWS and Azure: Application Centric Infrastructure (ACI) is Cisco’s intent-based networking solution for the data centre. It delivers operational simplicity, application agility and protection in the data centre — all delivered in a uniquely open approach that integrates with all hypervisors and container frameworks on which applications are deployed. With ACI Anywhere, that journey extends ACI to any workload, any location, any cloud. Virtual ACI already supports bare metal clouds and remote edge locations. And now with the new Cloud ACI capabilities, Cisco extends automation, management, and security to AWS and Microsoft Azure by fully integrating with their Infrastructure as a Service (IaaS) environments. Read the blog. HyperFlex for Branch: Deploying hyperconverged infrastructure to multiple sites in order to provide distributed computing at a global scale can be a complex task. 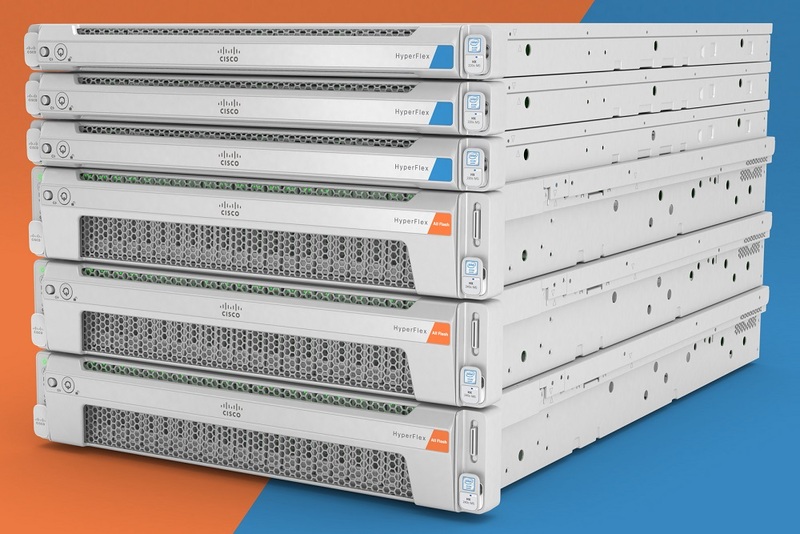 HyperFlex with Cisco Intersight now allows customers to seamlessly extend computing and storage from their core data centres to the edges of their operations. It does this with flexible scalability and the unmatched ease-of-use of cloud-powered systems management. HyperFlex now delivers data centre-class application performance for digital innovation in branch offices and remote sites, enabling analytics and intelligent services at the enterprise edge. Read the blog. CloudCenter Suite: The operational complexity and burgeoning cost of managing applications across multiple public and private clouds is a growing challenge for IT teams. The new CloudCenter Suite now features full application lifecycle management, greater workflow automation, and significantly enhanced cost optimisation and governance. Finally, the new suite is also much easier to consume, with simplified deployment, tiered pricing and a new SaaS offering. Read the blog. Cisco is making it easier than ever for customers to buy its data centre technology with the new Cisco Enterprise Agreement. Customers can now take advantage of a single standardised threeor five-year licensing agreement across seven suites, including ACI, HyperFlex, Intersight and Tetration. The Cisco EA provides customers with choice in deployment models and license portability across physical, virtual or cloud deployments. It lets customers have access to what they need, when and where they need it, available from their preferred channel partner. Read the blog. Cisco and its partners offer a full lifecycle of services to help customers streamline the journey to modernised data centre architectures.